I remember the day Jessica came home to Santa Ana after a weekend retreat in the mountains sponsored by OC Human Relations. My daughter left as a selfconscious, insecure average kid and came back as a self-possessed young woman concerned about social issues and with a global perspective. That weekend not only transformed my daughter, but my entire family as well, as we were forced to learn about poverty, prejudice, injustice and privilege. Her commitment changed her and that, in turn, changed all of us. Within weeks of that experience, she became involved with several organizations at her school and became part of the Human Relations Associates Program and basically blossomed into an incredible leader. Currently, Jessica is a sophomore at Johns Hopkins University majoring in political science and romance languages and serves on the advisory board as the outreach chair of the Latino student organization on her campus. I’m very proud of my daughter and very thankful to OC Human Relations for changing our lives. Joining HRAP has been a life changing experience. 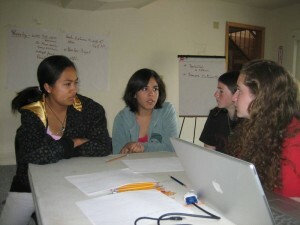 Through facilitating workshops, planning events, and leading meeting. I have learned and gained the real skills of good leader. It is through this organization that I have discovered the leader in me and because of staff like Dave, Don and Eric who have never doubted in my potential. They are friends who have encouraged me to be the best and due to their great support, I was courageous enough to go to Berkeley because I know I was ready and prepared to leave high school. 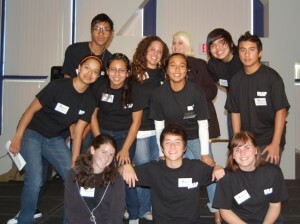 HRAP is a unique program that promotes acceptance and diversity. It has had a huge positive impact on my life and has opened my eyes to so many of society’s issues and has inspired me to take action. I will always be grateful to this wonderful program. The many opportunities HRAP gave me to do presentations and otherwise practice public speaking have proven to be invaluable. I am comfortable and experienced whenever I have to do presentations. Also, the tools I learned, people I got to know and experiences I had in HRAP have prepared me extremely well for combating the hateful attitudes of my peers in college. I live in an unfortunately close minded community and it is only because of my HRAP background that I am able to confront these kinds of situations. Public Speaking opportunities prepared me for college and for speaking engagements (including speaking to Congressmen and Senators) • Leadership experiences prepared me for leadership in the military including leading 1,100 people • The military introduces you to people of all walks of life. My time in HRAP gave me the tools to build teams and complete the mission with people who had no common background or experiences. My interaction with HRAP and OC Human Relations during high school taught me the critical thinking and leadership skills necessary for personal and professional success in today’s diverse world.